cover -the cover goes along the title which is based on twin souls. It is a really romantic cover. title – It is apt title, giving us an insight about the typesof soul one encounters. plot -It gives in the course of relation of twin flames, how they will meet and how it will all go about in their relation, love, separation, meeting again. This book gives an insight of the love one will encounter throughout. The book has divided sections. quotes are given in the book which are relatable. gives in volumes of knowlegde about twin souls and makes you believe in magic over and again. on how self love- dreams and every soul has some distinct role in your life. it will help you gain knowledge and know more about yourself. the flow of the book is brilliant. 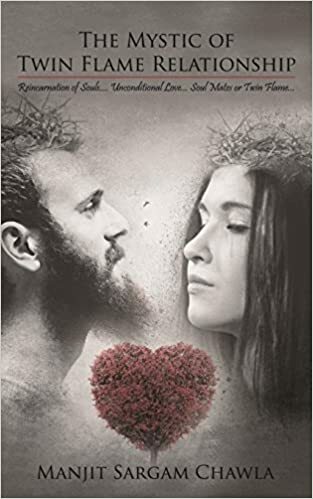 definitely recommended for people who believe in soul mates and sprituality. BLURB – Inspired by the life of a sparrow that leads a carefree life, Partibhan, a young and reluctant guru takes off on an amazing journey in evolution. He believes that human beings can become powerful creators, and achieve much more but the desire to secure the future makes them mere survivors. Between birth and death, evolution is the only constant, which humans can achieve by giving up self-limiting practices. Partibhan sets out to test spiritual principles at a practical level, with the exceptional 600 kilometer journey on foot without money and belongings. He wishes to demonstrate that man’s fixation on materialism and the need to accumulate is overrated: Survival isn’t the goal of life. A much bigger role, a higher calling awaits us. Can Partibhan and his followers overcome hardships on the way to find the answers they seek? Are they able to prove that spirituality isn’t an impractical concept as many have come to believe but is inseparable from evolution? What insights do they come across? What does their journey prove and what is its power packed message for you? Do they discover peace and joy? How is it different from happiness? REVIEW – It is a selfhelp and a story beautifully delved and penned down. Cover – the cover reminds me of charles bukowski’s poem there’s a bluebird in my heart. So does the title remind me. The cover is simple and elegant. Title – quest of sparrows the title will make you think of it as a journey which keeps going on. The story is about a bunch of people who go on for a pilgrimage where they meet swami and there life changes with the journey he takes the whole group out. The deep demons that one has kept buried deep that is put to show. the journey demands to have nothing to carry but to make way for the living. Just as one is born and makes out for his living through seeking, helping and spreading love. The journey is tough but is really worth the whole while. The story will teach you a lot though. A lot of knowledge can be scraped from the story. The narration and language really keeps you hooked to the book throughout. The more you say is less about the book. Transitions and Beyond helps us recalibrate our focus to align with our long-term objectives and goals thus making problems much easier to deal with and restoring one’s confidence in life. It promises to renew and reform a disordered life so that one can live a complete life with all stagnation removed. One becomes a true adventurer, who now sees life’s miniscule complications as challenges and can begin to transition. Transitions are the phases that help one grow through adversities transforming one into an individual who will love challenges and convert them into opportunities for a magnificent tomorrow. They are related to psychological and situational parameters and both are equally important to optimize and to manifest a simple tool of transformation into the realm of personal developments to achieve balance in every core area of life. Transitions and Beyond thus leads us to believe in life and produce a defining path that will reveal who we are and who we are meant to be. REVIEW – To see the change in others, seek the change in you. 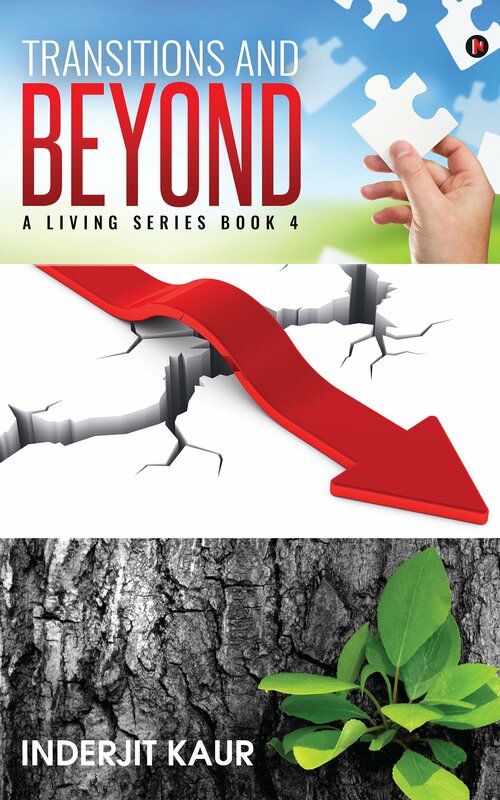 You are important.This is the 4th book in the living series by the author. This book is based on the self-help and self seeking aspects where we lack and loose our hopes down to certain situations. This book is a boost to push through tough times. It will definitely help you and act as a journal. Take aways are really nice, short and precise to read through again and over. The language is beautiful. The book is divided into four sections – change, Interventions and Revive and Renewal. Each section tells you more about step by step changes you can make and all the self talk you need. It is definitely a book you’ll re-read to adapt those changes in your life. It will be slow but you will definitely see a lot of personality and overall development as well. The author has done the magic again.